Is this viral bedtime chart realistic for most parents? In 2015 a teacher at an elementary school in Wisconsin posted a 'bedtimes by age' chart to Facebook, and parents are still commenting on this post nearly four years later. The teacher who posted the chart, Stacy Karlsen, didn't create it, she just found it, she told Fox 6 back in 2015. She thought the parents of the 200 or so kids at Wilson Elementary would find the chart as helpful as she did, but the post's viral reach went far beyond her intended audience. In the last four years countless parents have looked to this chart for guidance, but is it right? 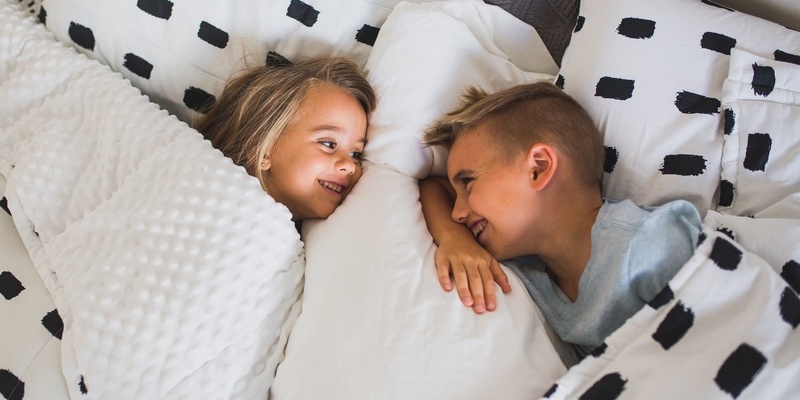 According to the sourceless chart, a 5-year-old who needs to be up at 6 o'clock in the morning should go to bed at 6:45 pm. As many Facebook commenters have noted, that simply isn't a realistic bedtime for many parents, especially for working moms who pick their child up from childcare at 5 or 6 in the evening. Keep scrolling, though, and you'll find plenty of comments from parents who find the chart valuable and easy enough to adhere to. The chart is controversial and a bit of a mystery (who made this thing? ), but that's sort of fitting because children's sleep is, too.